Have you observed inappropriate work-place behavior? Do you care about creating a safe culture in your organization? Do want to protect your organization from scandal? Rebecca Dupras, a former executive at the Silicon Valley Community Foundation, went on record to help blow the whistle on the “toxic culture” at the Silicon Valley Community Foundation. The story was featured in The Chronicle of Philanthropy April 18, 2018. Rebecca will share her experience, talk about the impact a negative culture has on philanthropy, and share her thoughts about how to stop this behavior. Rebecca Dupras is a practicing attorney in the Providence, Rhode Island area. She has worked as a planned giving professional for a number of nonprofit organizations. Participants will understand the ethical implications in tolerating inappropriate workplace behaviors. Get tips in stopping inappropriate behavior. Understand the implications toxic work behaviors can have on board members. 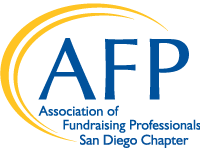 Fundraising professionals, nonprofit leaders of all experience levels, those with management responsibilities, board members, funders and philanthropists.